Who says you don’t need business cards any more? We were invited along to the FSB’s Celebrating Small Business Awards at Cardiff’s Holland House Hotel today, and to top off a great day, Ceri’s business card was pulled out of the prize draw hat. Big thanks to Welsh In Business for supplying the bubbly prize and also congratulations to all of the “real” award winners whose small business efforts were so rightly recognised. People still have a desire to own tangible things and print is part of that. Even in this increasingly digital world, just look at the resurgence in sales of vinyl records as proof of this. Sales hit a 25-year high in 2016 with LP sales up by 53% on the previous year . Though it seems everyone has an electronic device glued to their hand, when it comes to reading people still want to curl up with a printed book. 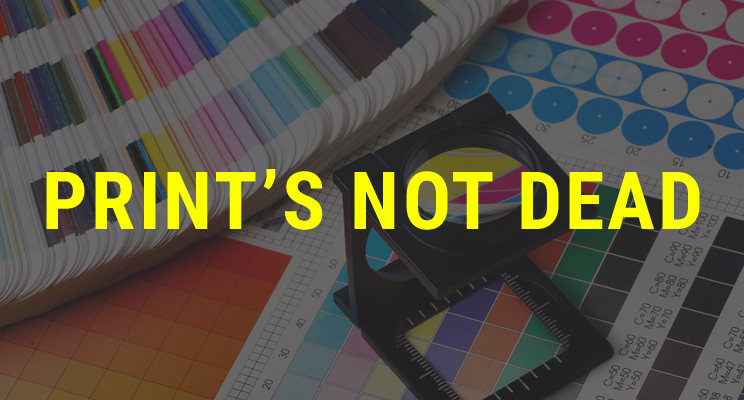 So is print too old-fashioned for businesses? Does it have a damaging environmental impact? Can businesses just assume that they just don’t need printed brochures, leaflets or catalogues any more? 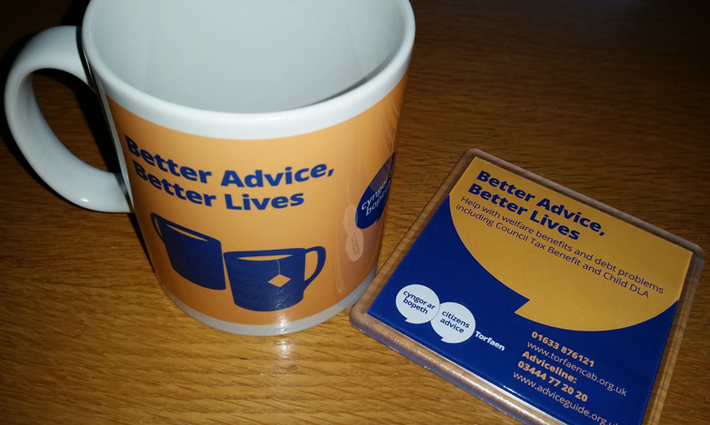 We were recently asked to help an international TV production company when they urgently needed some printing done. They needed a variety of large prints produced so that they could be filmed to appear in a segment on one of their sporting programmes. 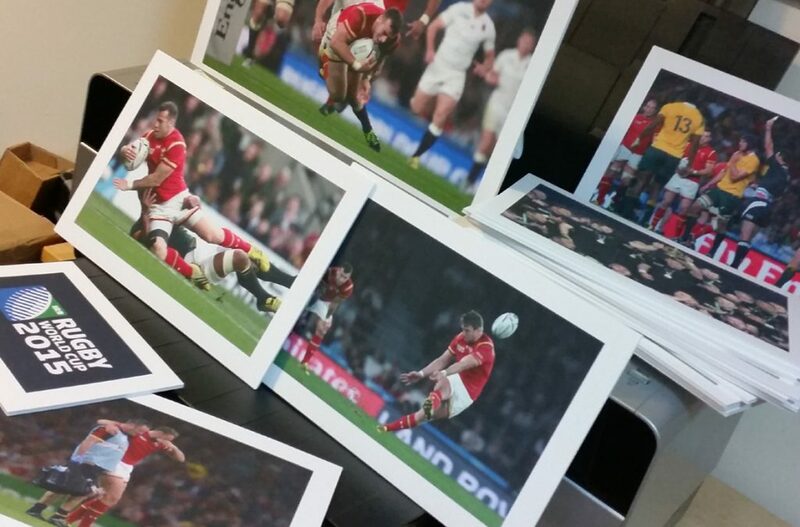 Happy to be reminded of some great performances from the Rugby World Cup, we were able to work with the files supplied and run out some great prints in the nick of time! We travel to Coventry tomorrow for the British Society of Hearing Aid Audiologists’ annual Congress. We’ve been working on branding and assets for this event since October last year, so it’s exciting that we’re finally getting to see printed catalogues, banners, stage dressing and the rest of the conference paraphernalia in situ and in action. We’ll also be helping out on the registration desk on Friday morning, so if you’re a BSHAA Member or trade exhibitor coming along to the Ricoh for the weekend, don’t forget to say “hello” as we hand you your delegate pack! Designworld were recently commissioned to design and produce the souvenir programme for the Cardiff Schools Under 15s rugby tour to Canada. This brochure design was a big job with a tight deadline, but we’re pleased to say that everything went without a hitch – much like the tour itself. The boys were unbeaten on the tour, against some very physical Canadian opposition. By all accounts the boys were a credit to their team, city and country. Congratulations to the boys and all involved in the tour.